Important Information About Low Back Pain! Low Back Pain (LBP) affects up to 80% of the Western population throughout the course of their life. Many people do not have any preceding events to cause this back pain, although specific injuries can also initiate your symptoms. 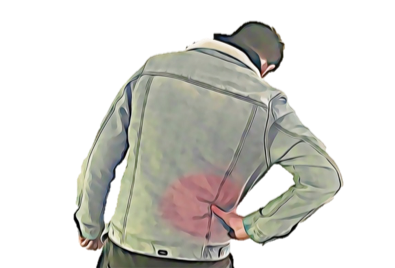 Lower back pain constitutes almost half of all chronic pain. This has a huge effect on quality of life and people with LBP tend to have more time off work and higher medical costs than those who do not have symptoms. Sedentary lifestyles, increased body weight, reduced physical activity and poor postures are all contributing factors to LBP. Obesity rates in the western world have never been higher, and this is known to cause greater rates of musculoskeletal pain than ever before. Back pain can strike suddenly or build up slowly over a period of time. Many people report sudden and severe onset of back pain from a seemingly innocent movement. Others find that their back aches towards the end of the workday and follows a regular pattern. Thankfully, more and more workplaces are advocating for better ergonomic set-ups in order to pre-emptively reduce the incidence of LBP amongst employees. Our Physiotherapist’s at Enhance Physiotherapy Albury-Wodonga are experts in ergonomic assessments and can help you or your business reduce the likelihood of suffering from LBP at work. Dealing with back pain is complicated as there are many treatments to choose from. Unfortunately, there is rarely a miracle cure that works for everyone. What research tells us is that effective and timely advice, thorough professional assessment and a tailored exercise program shows the best outcomes in the long term. There are some cases where your physiotherapist or doctor will suggest that you have imaging such as an x-ray or MRI. While imaging can be helpful in ruling out serious injuries it is important to realise that if everyone was to have an MRI of their spine, it is reasonable to expect that most people would have changes in the appearance of their spines, even if they don’t have any pain or other symptoms. The take-home message is that scans do not always paint an accurate picture of what is happening within a person’s back. The back is made up of a number of different structures that work together to achieve the required movements needed to perform daily activities. With such a complex combination of tissues and joints, aches and pains can be caused by any number of structures. Keeping the muscles and joints of the spine strong and healthy can have a remarkable impact on pain levels regardless of the specific structure causing symptoms. Enhance Physiotherapy Albury-Wodonga is home to the best strength based rehabilitation gym in the region! If you are suffering from back pain, speak to one of our physiotherapist’s for advice on how to best manage your symptoms. While no one can prevent back pain with 100% certainty, keeping active, avoiding smoking and maintaining a healthy relationship with alcohol and heavy labour, can reduce your chances of having low back pain. Referred Pain … what is it? Have you ever been to see a physiotherapist for pain in one part of your body and when they treated you, they focused on a completely different area? While this can be a strange experience, it can be even more puzzling when the treatment actually works. So what is going on, shouldn’t pain be treated where it is being felt? When pain is felt at a different location from where the pain is being caused, this is called ‘referred pain’ and is actually more common than you think. Pain is usually felt when something causes damage to the body, sending an electrical impulse to the brain. The brain receives this information and process it to make sense of which part of the body the signal is coming from and what kind of pain it is. Sometimes referred pain is easy to explain, such as when a nerve becomes injured or irritated, causing the pain to be felt along the length of the nerve. This often feels like a sharp, burning pain that runs in a strip, along the skin. Other examples of referred pain include muscular trigger points, organ referral or phantom limb pain where amputees continue to feel pain as though it was in the place where their limb used to be. Muscular trigger points can cause referred pain. The mechanism behind this is thought to be explained by tight bands of muscle tissues that cause pain to be felt in predictable patterns around the body. Adding to this, we know that other tissues of the body can cause pain to be felt in a different location, including discs of the spine and internal organs. Many times the internal organs can refer pain in peculiar patterns and this can actually lead to serious illnesses being mistaken for muscular aches and pains. 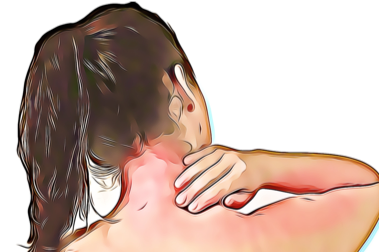 Kidney pain can be felt in the lower back and tragically, some people fail to recognize that they are having a heart attack because they feel pain in their neck and arm, not in their chest. We also know that not understanding or being afraid of pain can make pain feel stronger! In rare cases, people who have pain in one hand can feel pain just by seeing their other hand moving in a mirror. There are many other fascinating aspects to pain, and understanding how it works is an important part of managing your symptoms. To understand how referred pain may be affecting you, chat to one of our physiotherapist’s at Enhance Physiotherapy Albury Wodonga who can help with any questions. Almost everyone has twisted their ankle at some in their life; in fact, it is one of the most common reasons for people to visit an emergency department. Technically an ankle sprain has occurred when an ankle twists, causing damage to one of it’s supporting ligaments. The ligaments can be overstretched, partially torn or completely ruptured, depending on the force of the injury. 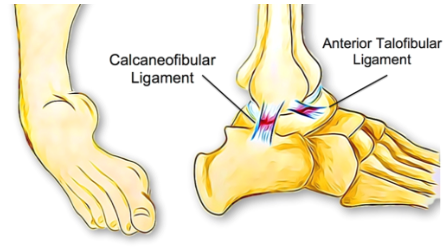 The ligament that is most often involved is the ATFL, or the anterior-talofibular ligament, located on the outside of the ankle. While there are many ligaments surrounding and supporting the ankle, this ligament is the most vulnerable as it stops the ankle from rolling inwards, which is the way that most ankles are injured. Athletes who jump while moving in different directions, such as basketball and netball players, are the most prone to this injury as they often land on their foot when it is not completely flat, twisting it and injuring the ligaments. Most people won’t have any problem diagnosing that they have a sprained ankle. The symptoms are pain, swelling and tenderness over the area of damage, usually the outside of the ankle. Depending on the severity of the injury, there many be bruising, reduced range of movement, instability and pain with weight bearing. In more severe injuries there may even be a loss of function, where you are unable to walk on the ankle and numbness and/or a feeling of coldness in the foot. Twisted ankles can also cause a fracture of the ankle, not just ligament damage and many times a bad sprain and a fracture cannot be told apart without proper medical assessment and an X-ray. Your physiotherapist is able to identify if your sprain is severe enough to need further investigation to rule out a fracture. They will also classify the severity of the sprain, providing you with a clear course of treatment. There are many factors that can lead someone to be more prone to ankle sprains, including general hyper flexibility, unsupportive footwear and anatomical structure, however by far the most common reason for an ankle sprain is the existence of a previous sprain without complete rehabilitation. This is because following an ankle sprain, many people are left with weakness, instability or stiffness, reduced balance and proprioception – which is a sense of where your body is positioned. These things can mean that the next time your ankle is in a vulnerable position you don’t have the strength, awareness of position, balance or structural control to ensure it is in the correct position before putting all your weight through it, causing another injury. As well as helping you reduce and recover from the pain and swelling of the injury in the early days. Your physiotherapist is trained to identify which issues are likely to affect you in the future and assist you with a personalised rehabilitation program to ensure your ankle is as strong and stable as possible to prevent future injuries.